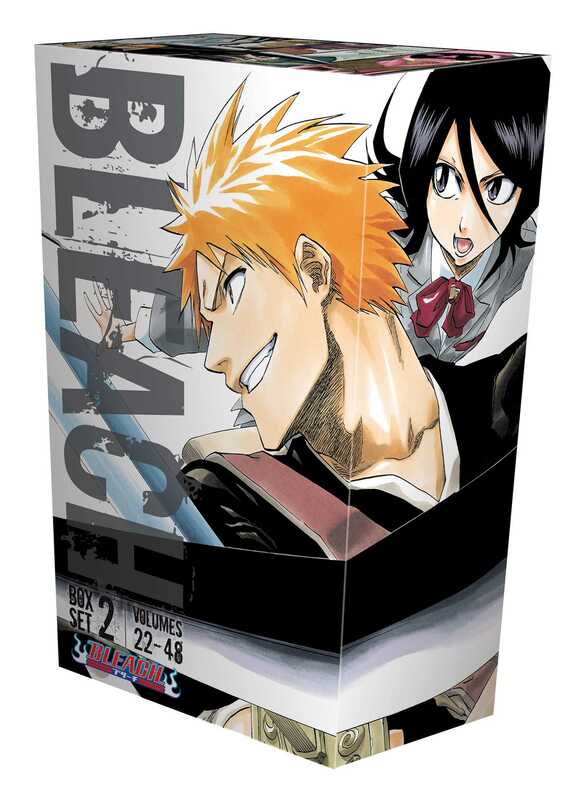 The second Bleach Box Set. This set features volumes 22~48 at a substantial savings over buying them individually, along with an exclusive mini-comic containing the pilot story of the series and a full-color, double-sided poster. After finally rescuing their friend Rukia, Ichigo and friends return to their quiet lives in the world of the living. However, the peace is short-lived as new enemies arrive from the world of the Hollows. Aizen is back, and Ichigo may be the only one who can stop him for good!